This brick maisonette in London's Primrose Hill has been modernised with a plywood-clad circulation tower and an elevated terrace overlooking Regent's Park (+ slideshow). 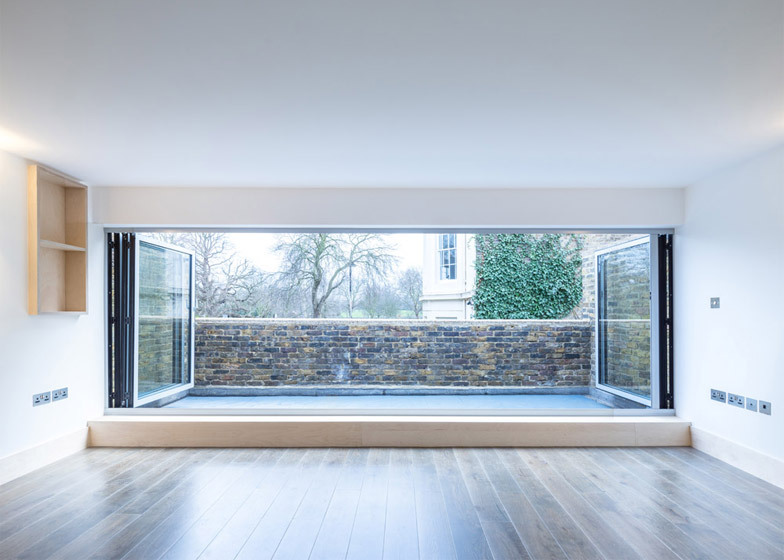 London-based practice Studio Gil was commissioned to remodel, renovate and extend the 1960s property in a conservation area of Primrose Hill. 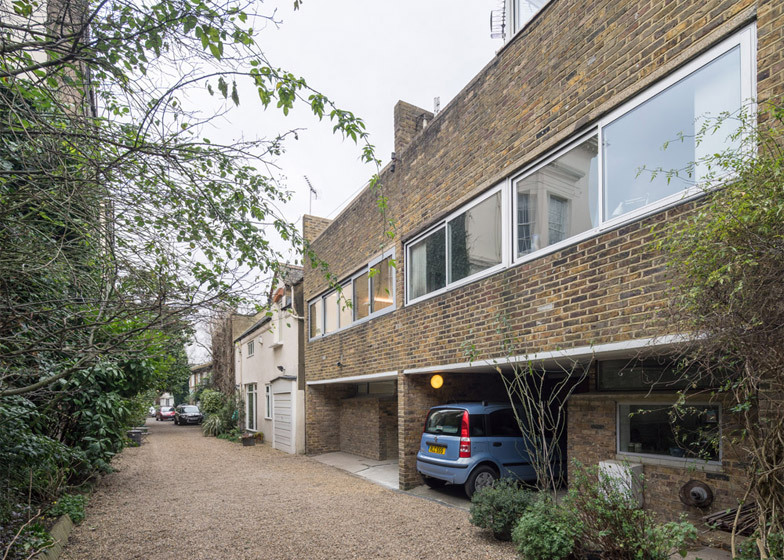 The brick maisonette was originally designed by the late British Modernist architect John Winter, whose self-built home is located nearby. 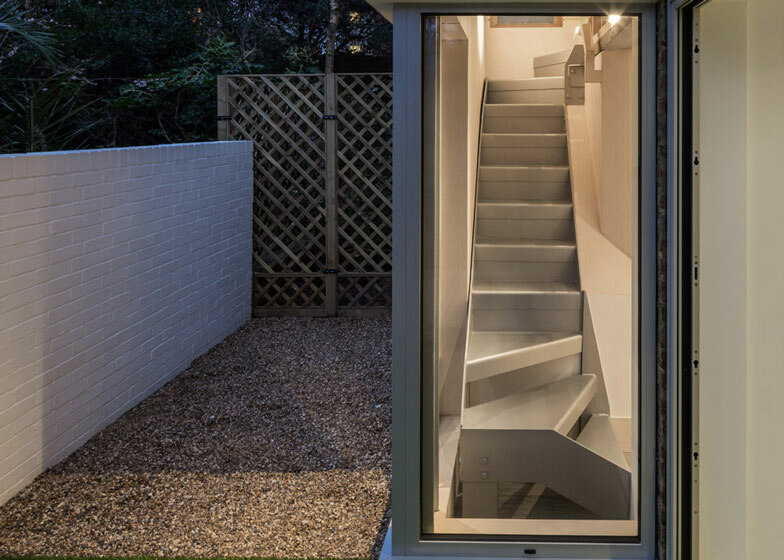 To free up floor space, the property's original staircase was removed and a new one inserted within a three-storey-high extension. This stairwell runs up one side of the brick house and is clad in panels of white painted marine-grade plywood, designed to withstand damp weather. The interior layout was adapted, with the bedrooms, bathrooms and dining areas relocated to the lower floors, and a large living room with an adjoining terrace positioned on the top floor to take advantage of views over Regent's Park – one of London's eight Royal Parks. 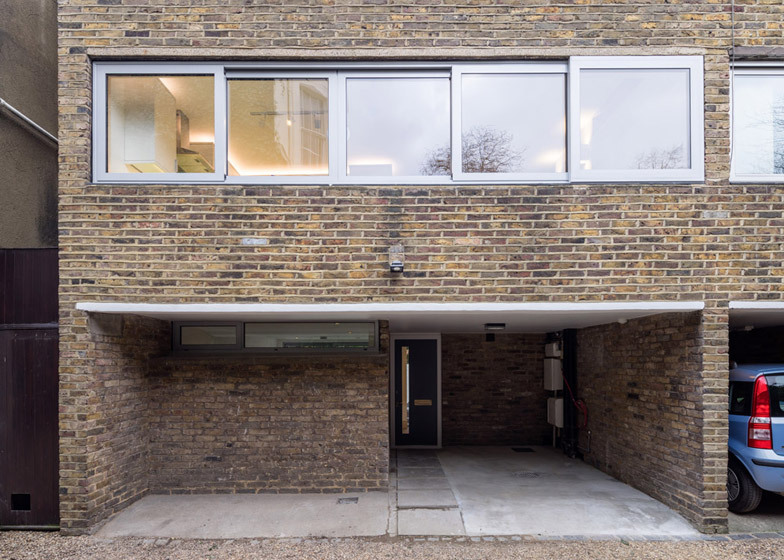 "The new extension was designed as a vertical circulation tower to connect the three floors whilst also adjoining in a sensitive manner to the external brickwork walls of the original building," said studio architect Christo Meyer. "The choice of cladding was chosen to complement the existing materials of the original building," he continued. "It sets off the brickwork beautifully." The panels are arranged to create a gridded pattern that is also replicated in the interior joinery. Precise measurements were taken so as to avoid waste when cutting the 244 centimetre by 122 centimetre ply sheets. These exact calculations also provided the name for the project – 2 Point 88. "The name of the project comes from the square area generated from the plywood panels – 1.2 x 2.4 = 2.88," explained the architects. The new steel staircase is affixed to a series of original concrete beams exposed during the renovation works. "For us, the original 1960s building carried a lot of charm," explained the architects. 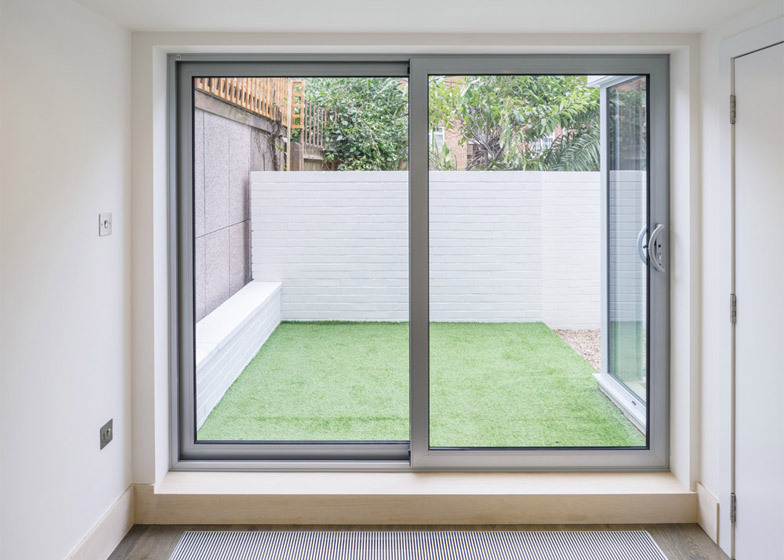 "These are the original concrete beams, which served the dual purpose of a lintel for the existing window and to carry the load of the infill block and brickwork external walls." Glazing set into the sides of the tower and into a corner at ground level provides a natural light source for the stairwell. Like the exterior, the stairwell is lined with a grid of plywood panels. 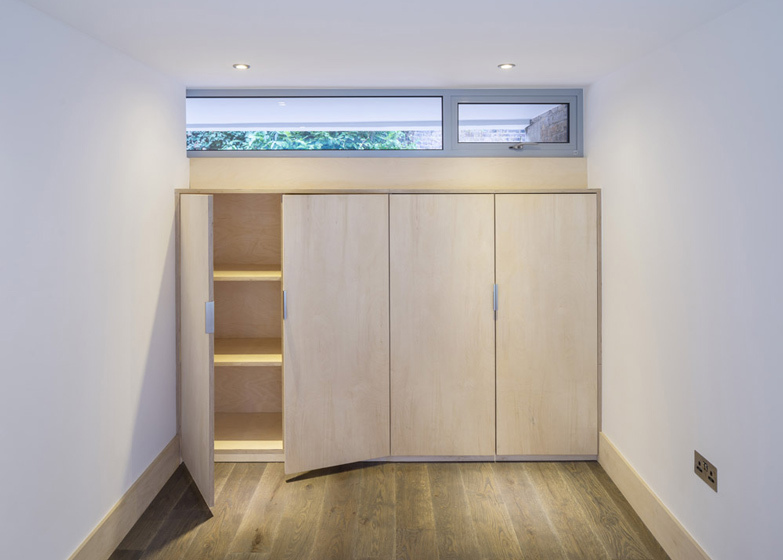 This extends out into the adjoining entrance hall and living spaces, where wooden storage units are integrated into the walls and balustrades. Small nooks set into the balustrades are used to display books and ornaments, while a larger unit built by the entrance to the ground floor kitchen is used to store wine and recipe books. 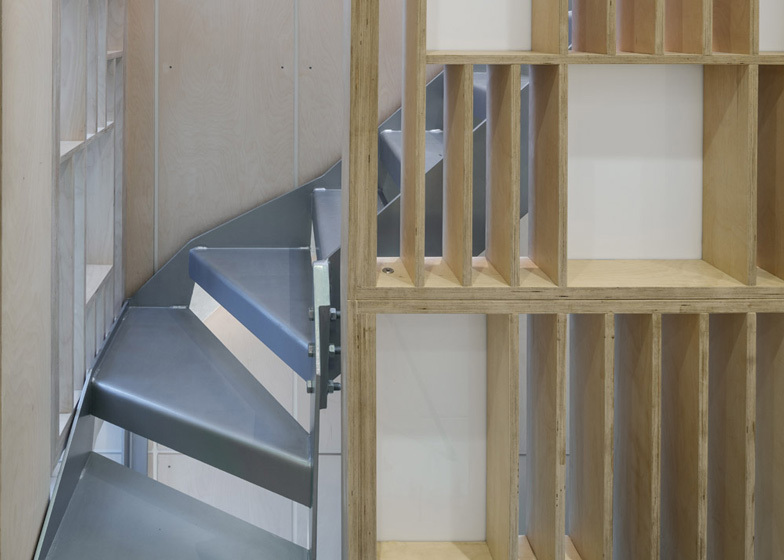 The bespoke joinery was constructed on site by craftsmen. 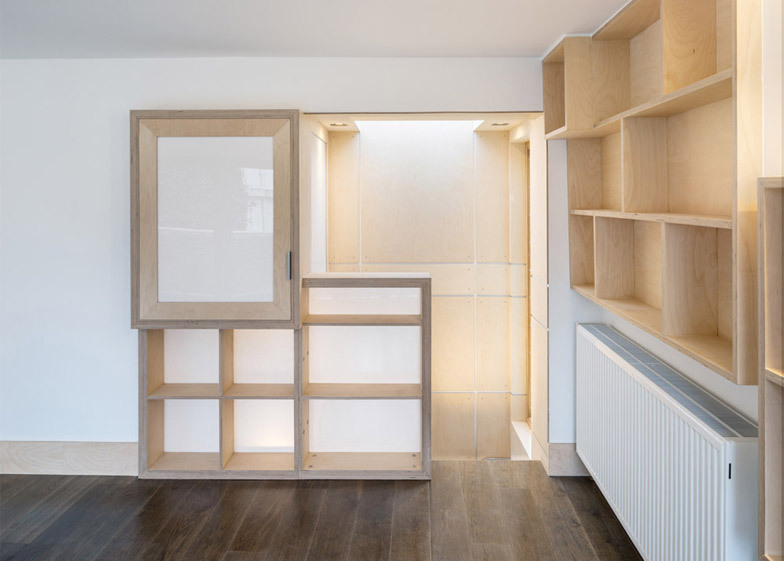 "The pattern of plywood panels grow out of the stairwell onto the walls of the corridor and ends up forming fixed furniture and storage units," said the architects, who also included pegs for hanging coats, keys and a lead for Ewok – the clients' dog. 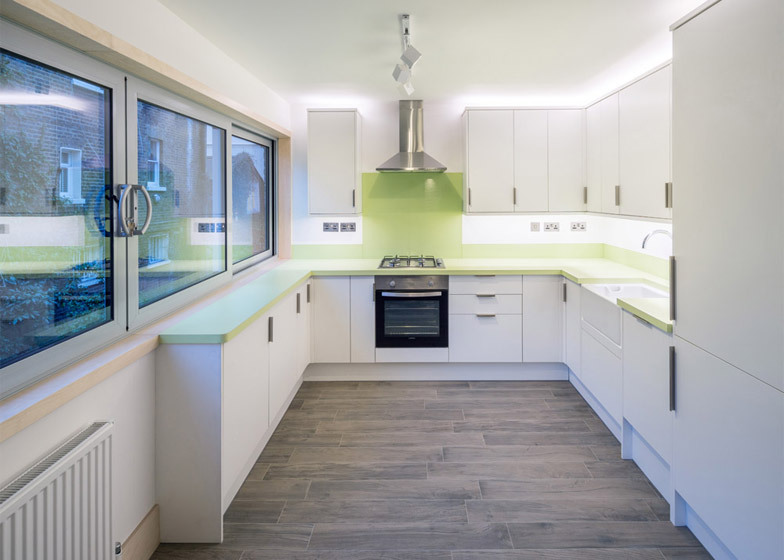 "The use of plywood was a way of having a material reference in the building whether you were on the ground floor or on the top floor; a material orientation point if you like," they added. Studio Gil was founded by architect Pedro Gil in 2008. 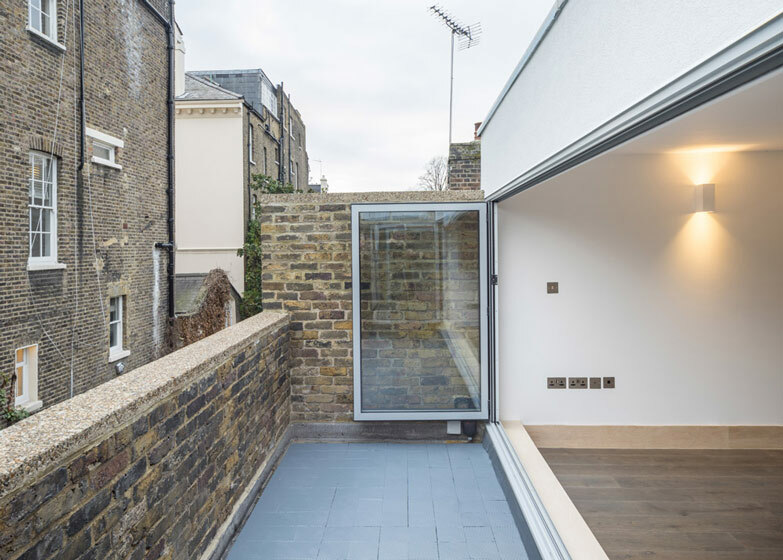 The studio's projects also include a Victorian residence that was renovated and extended for a retired schoolteacher. Photography is by Simon Kennedy.